I absolutely love yoga; how it’s so accessible and beneficial to everyone from all walks of life. I became a yoga instructor in the hope of inspiring others to practice yoga; to enjoy its many benefits for the body and mind. My style very much focuses on the importance of the breath and on practising good alignment, as I see both as really important factors for a beneficial and enjoyable practice. Lively music forms a large part of my classes; I find it can be motivating as well as bringing some lightness to the classes. 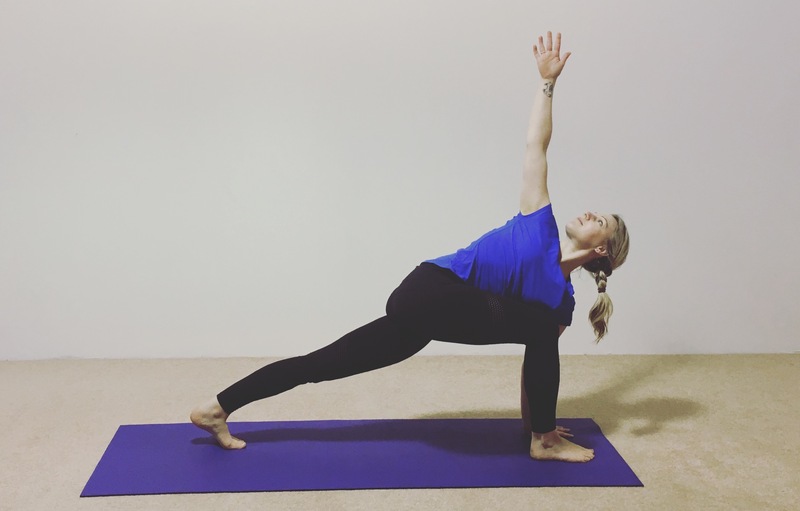 I am qualified to teach Ashtanga, Rocket, Vinyasa Flow and Yin Yoga, having studied Ashtanga in our fab home city of Leeds, and Rocket Yoga on the beautiful island of Koh Samui in Thailand, and Vinyasa Flow in Goa, India. Ultimately, I aim to encourage students to enjoy a decent body workout, whilst improving flexibility and of course, relaxing the mind with a rewarding savasana (relaxation) at the end of each class.